Do you know a child who will be 5 on or before September 1st? If so, REGISTER FOR KINDERGARTEN NOW! 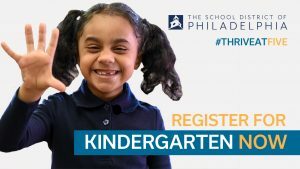 Thinking about Kindergarten this coming fall? Remember, you can contact your neighborhood school at any time to get more info too! May 6, 2019 - to May 10, 2019 - Click the link below for times at your neighborhood school.